I own too many notebooks. I like writing down my thoughts, making lists, documenting my day keeping track of my to-do's, calendar & appointments, and being reminded of special ocassions. The yearly Starbucks planner had been my daily diary since Starbucks introduced it here in the Philippines. I must've drank liters and liters of my favorite toffee nut latte for me to own its journal. And I write in it religiously. Jed's been itching to read my current and past journals. How come I have a feeling he already had. 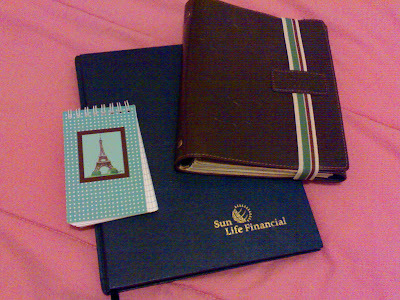 Aside from the Starbucks planner, I have a Sunlife Executive Agenda which I use as an organizer. PDAs do not work for me, as my organizer is also a scrapbook. I keep important documents, recipes, greeting cards, articles, lyrics of songs... or whatever I feel is important at that time. Lastly, I carry a small Rina Albert notebook which I carry with me everywhere so I have something to write on when the need arises, like grocery lists, etc. Well, three notebooks are bulky. Although I leave my journal at home, I bring my organizer and mini-notebook everywhere I go. I need alternatives. 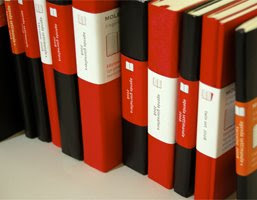 And then I discovered Moleskine's notebooks. Well, I have yet to own one. 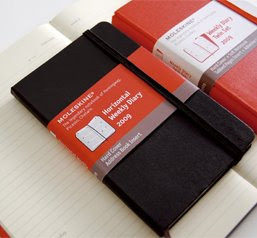 So on with my reasearch, I discovered Moleskine is not just about blank notebooks, there are other varieties such as -- diaries!! 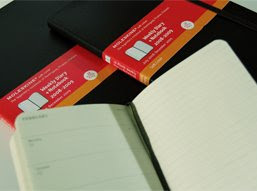 Moleskine's got them all: monthly, weekly, and daily diaries. 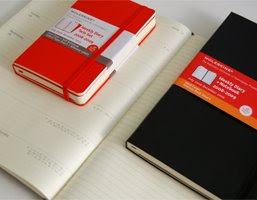 Here are photos of diaries that caught my eyes and two ones I intend to buy for next year, even if Moleskine came out with an 18 month calendar beginning with July 2008. These notebooks are now available locally. I checked out a couple of bookstores yesterday and saw these diaries. Their prices were reasonable. 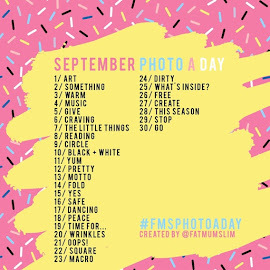 It's cheaper than the Starbucks planner, and without the calories from those irresistable Starbucks drink/s one need to buy to own a planner. I can almost see that next year, I will be keeping a Starbucks planner AND a Moleskine diary.